If you love STAR WARS then you know that May 4th is the official STAR WARS day, hence the saying “May The 4th Be With You!”. 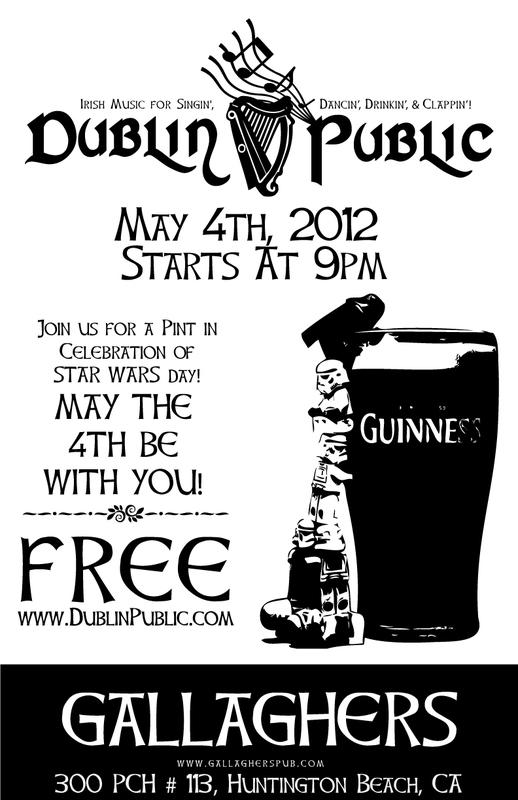 In celebration of this awesome day we will be playing a special show at Gallagher’s Irish Pub in Huntington Beach. 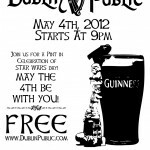 Come out and support and bring your light saber!